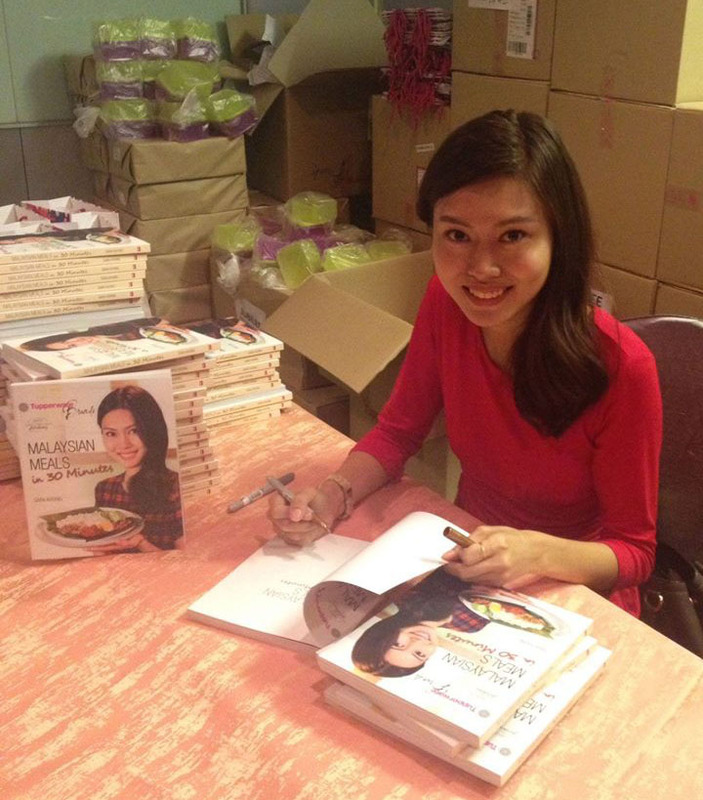 Here’s a quick update on the soft-launch first cookbook in conjunction with Tupperware Jubilee event. The event was held at Sunway Convention Centre over the weekend. After giving a speech to two thousand people, I headed to the foyer where 800 copies of the book were sold. They were all sold out in few hours! . I only wish there were more copies so everyone can get one. But if you didn’t manage to, please get it at major bookstores (MPH, Kinokuniya, Borders, etc) in September. What I did not expect is people very warm reception towards “Malaysian Meals In 30 Minutes”. Hundreds of people came to say hi and get their copy signed. What was I thinking at that time? Thanks to University of London’s very demanding exam, I had learn to write at the speed of light (?!). Signing hundreds of copies is nothing. I only wish I had more time to write personalised note. For those who had only gotten “Let’s cook!” or no message as I had to leave, so sorry! I went back the next day to sign more books and take photos even. As we had more time, I could have selfies and chit-chat with very nice people who purchased my book. For those who I’ve spoke to at Tupperware’s event, please follow me at Facebook and Instagram and drop a message. That’s especially if you’ve tried any of the recipes. I’ll love to hear from you!